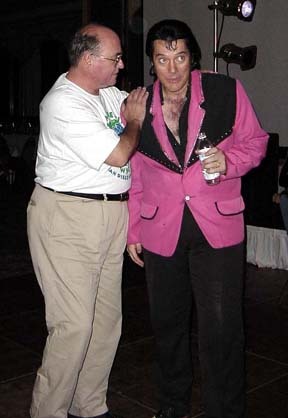 Jerry Long holds an animated conversation with Elvis (Brian Anderson, Washington) on Friday night. 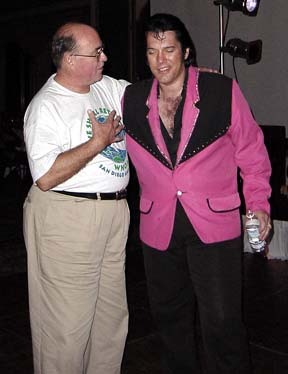 Elvis and Pat Wiggins Dumke '69. 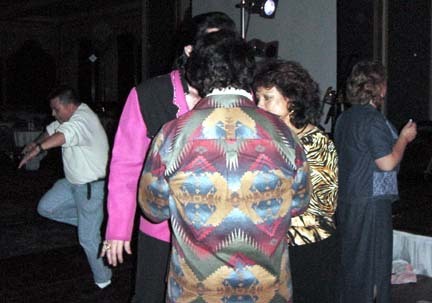 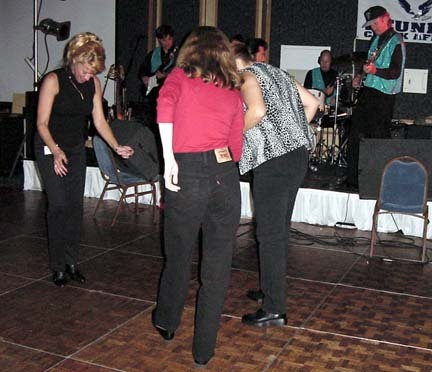 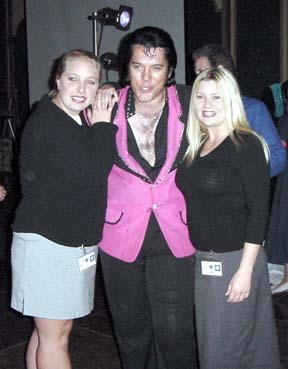 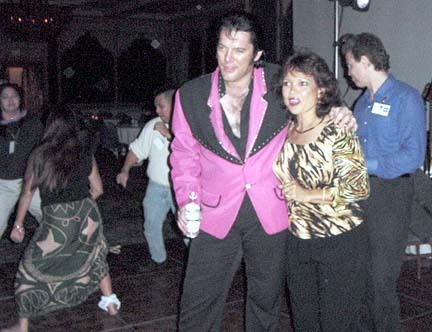 Kacey Shelton, Elvis, and Susanna Prunier.